Another amazing transaction with Eidel. 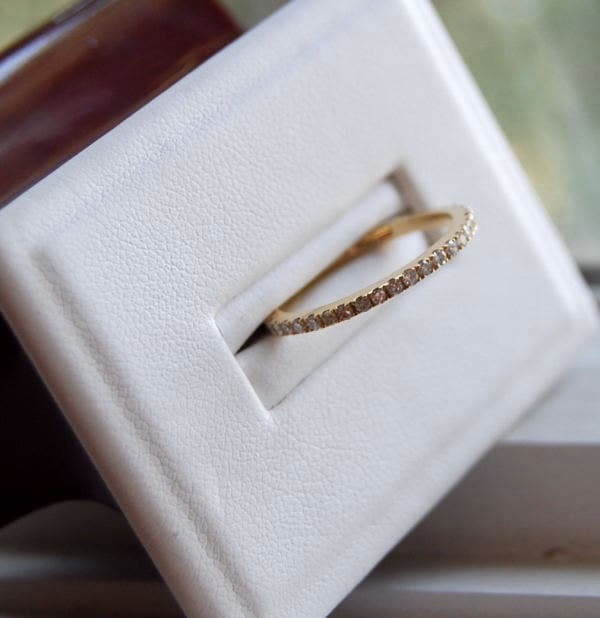 I purchased both my fiance's engagement ring, and now the wedding band from this Etsy shop, and we absolutely love both pieces. Great communication, and will recommend to anyone looking for this type of jewelry. Thank you so much for helping make these important moments of our lives so special an unique! Ring was exactly as described and looked great. Fit the previously purchased engagement ring perfectly.